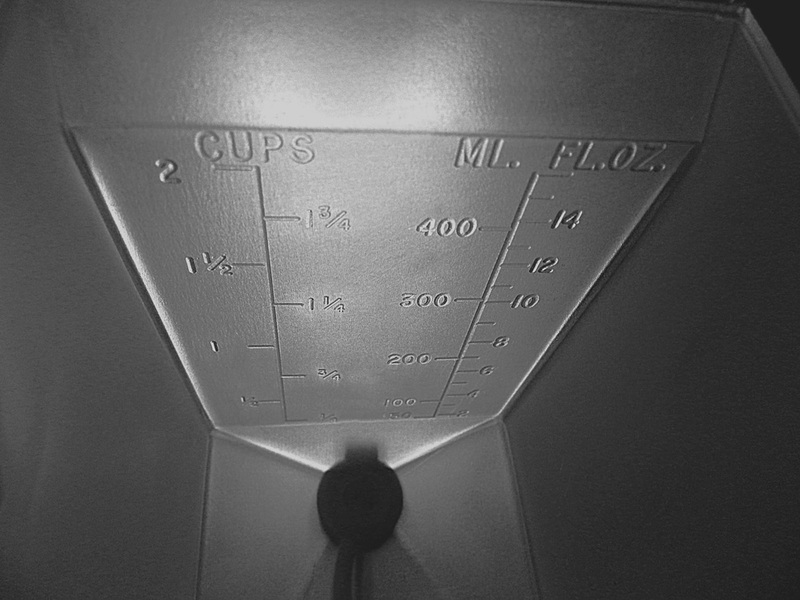 Looking for a funnel measuring cup? This handy measuring funnel has a capacity of two cups, and it doubles as a measuring scoop. It is graduated in cups, ML (milliliters), and ounces. 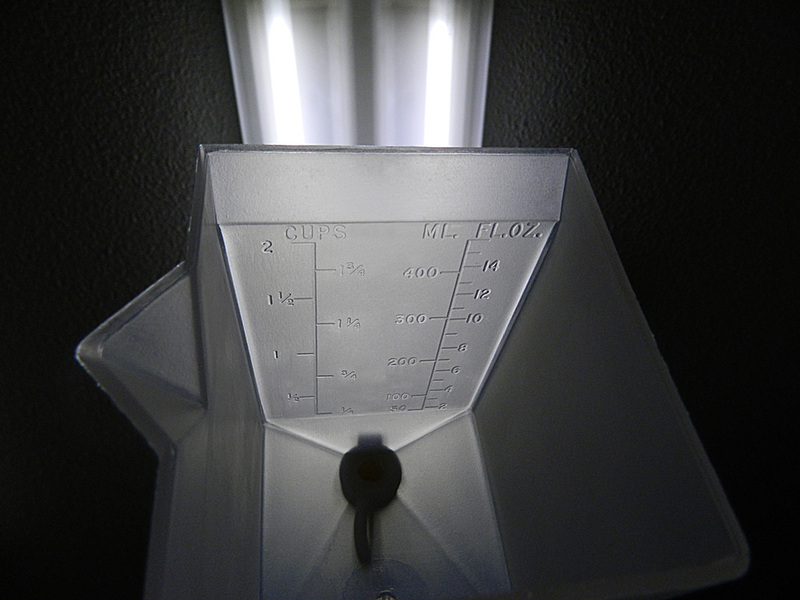 The measuring scoop funnel is semi-transparent which allows you to see the level of the contents from the outside. This measuring funnel has a capped opening on the bottom. Simply remove the cap to drain the contents of the funnel. The cap is attached to the funnel with a flexible strap to prevent dropping or losing it. You may also tilt the container to pour out the contents using the handy spout on the top rim. If desired, you may remove the bottom cap and attach 1/2 inch I.D. tubing to the funnel (tubing not supplied). 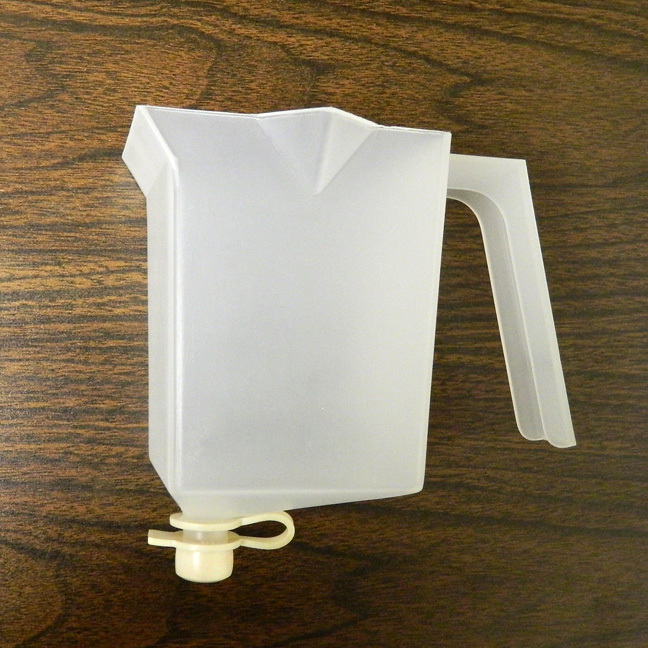 Our measuring scoop funnel is made of polypropylene and the cap is flexible PCV. Both materials have excellent resistance to a wide range of liquids and chemicals. Container dimensions (not including handle): 3-3/4" wide x 3-1/2" length x 5-1/4" height. Container dimensions (including handle): 3-3/4" wide x 5-3/4" length x 5-1/4" height.